overview : A wealthy Hancioglu family owns vast estates in Cappadocia, Turkey. 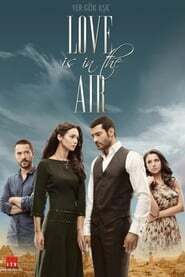 Yusuf (Murat Unalmis) is the oldest son of this family, therefore, he manages the family business and bears all the responsibility of the family. Yusuf is very handsome, rich and hardworking man. Thus, there are lots of women who want to be his bride but, Yusuf wants to get married with a woman whom he loves. The life of Hancioglu family changes due to Yusuf's illegitimate child. This little boy's mother dies and Yusuf becomes the only responsible parent who will raise him. Therefore, Yusuf's mother, Hamiyet (Isil Yucesoy), tries to find a nursing mother in order to take care of her grandson. Toprak (Selen Soyder), whose daughter has passed away during this time becomes a valuable choice for Yusuf's son. Toprak's older sister Havva (Birce Akalay), also starts to stay with them in order to help her sister. However, Havva is enchanted by the wealth of Hancioglu family and, she starts to do everything for charming Yusuf. Now, Yusuf finds himself between two beautiful sisters.